Adding an image to a social media post can really increase overall engagement. According to Media Blog, adding a photo to your tweets can boost retweets by an impressive 35%. If you follow us on Twitter, you have probably noticed that we attach a photo to nearly every tweet. 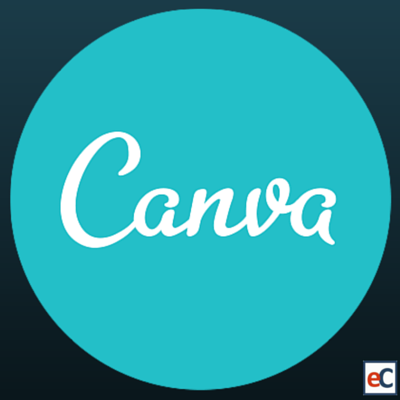 We have been asked many times how we create our custom images and the answer is simple, we use Canva! If you aren’t familiar with Canva, it is a tool that makes creating high quality, attention grabbing images easy and affordable. Grab Attention: On average, around 6,000 tweets are tweeted per second. Standing out amongst all of this noise can be very hard. Eye catching images are a very effective way to help your posts stand out. Not only do photos take up more space than text, but they are also comprehended much faster by the brain. As you can see, the tweet that includes an image is much more eye catching and it also takes up much more space in the timeline. Provide A Summary: When it comes to reading online, everyone has become a bit lazy. Make it easy for people to consume and share your content by attaching an image that summarizes the main points. This is also a great way to include more information than Twitter’s 140 character limit allows. Create Perfectly Sized Images: Each social network has an ideal size for images. Keeping up with the exact dimensions can be difficult, but with Canva all you have to do is select which network you are posting to and they will create a perfect sized template! Add Logos To Images: Photos are the most shared type of content on social media. When you create images, do not forget to add your logo. We like to add ours in the same place every time, the bottom right hand corner, so our images all look consistent. Once these images begin to be shared, our logo is shared as well! As you can see, creating high quality and engaging photos is a simple process with Canva. All social media marketing requires experimentation, so test out different styles and use cases for images to see what works best for you and your audience. If you have any unique ways you use images, let us know in the comment section!